Make yourself at home in one of the 62 air-conditioned rooms featuring refrigerators and flat-screen televisions. Complimentary wired and wireless Internet access keeps you connected, and cable programming provides entertainment. Bathrooms with showers are provided. Conveniences include desks and complimentary newspapers, as well as phones with free local calls. Make yourself at home in one of the 93 air-conditioned rooms featuring refrigerators and microwaves. Your pillowtop bed comes with down comforters and premium bedding. Complimentary wireless Internet access keeps you connected, and cable programming is available for your entertainment. Conveniences include desks and coffee/tea makers, and housekeeping is provided daily. Make yourself at home in one of the 54 air-conditioned rooms featuring refrigerators and microwaves. Wired and wireless Internet access is complimentary, while 37-inch flat-screen televisions with cable programming provide entertainment. Bathrooms have complimentary toiletries and hair dryers. Conveniences include desks and coffee/tea makers, and housekeeping is provided daily. When you stay at La Quinta Inn & Suites Palestine in Palestine, you'll be within a 10-minute drive of University of Texas at Tyler Palestine Campus and Redlands Hotel. This hotel is 2.1 mi (3.4 km) from Museum for East Texas Culture and 2.7 mi (4.3 km) from Anderson County Courthouse. 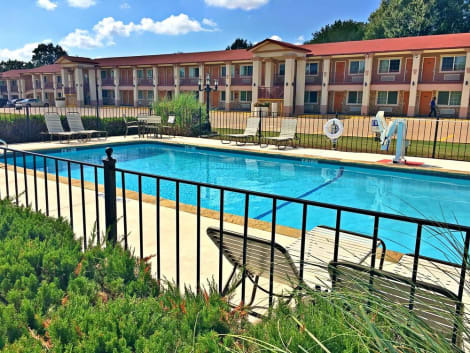 Located in Palestine, Hampton Inn & Suites Palestine is in a rural location, within a 10-minute drive of Anderson County Courthouse and Museum for East Texas Culture. This hotel is 3.3 mi (5.3 km) from Palestine Community Theatre and 3.3 mi (5.4 km) from Redlands Hotel. 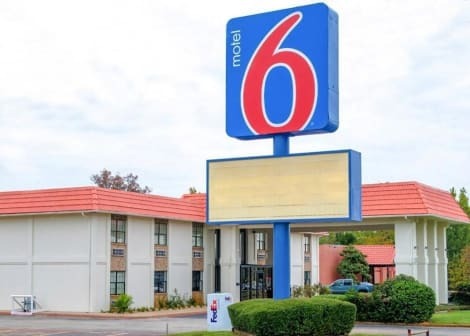 Located in Palestine, Super 8 by Wyndham Palestine is a 4-minute drive from University of Texas at Tyler Palestine Campus and 6 minutes from Green Park. This motel is 2.6 mi (4.3 km) from Museum for East Texas Culture and 3.3 mi (5.2 km) from Davey Dogwood Park.